The FRP Machine Hood provided by us is widely used covering for IC engines and as a casing to engineering machines. This Machine Hood can withstand high temperatures. 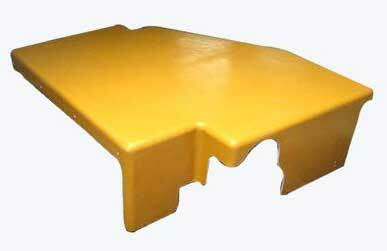 Manufactured using premium Fiberglass and plastic resin, these FRP Machine Hoods are very strongly built. This FRP Machine Hood is provided with thermal and electrical insulation. Our customers can avail from us, this comprehensive range in various sizes according to their requirements. Why our FRP Machine Hood?